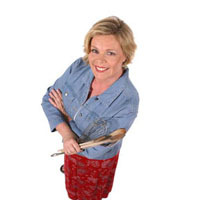 August 2015 - Guardian Safety Solutions International, Inc.
We stumbled on a great bunch of kitchen safety tips Leanne Ely who goes by the moniker the Dinner Diva. Take these to heart and read more at SavingDinner.com. Of course, to be extra safe, install the Guardian III G300B which puts out range top fires in seconds. Be aware of flammables. Stop putting those oven mitts and kitchen towels anywhere near the stove top. You might think you are safe because you don’t leave flammables next to your element, but remember what happened to my friend, when a spark caused a tea towel to catch fire . . . a tea towel that was hanging off the oven door (where many of us often place these things!). Curtains, appliance cords and anything else that can melt or catch fire should have a safe amount of distance between it and the stove. Dress appropriately. Loose fitting clothing can catch fire. When you’re cooking—especially over propane burners—,keep baggy shirts tucked in or tied back with a well-fitting apron. Avoid wearing long, flowing sleeves when you’re at the stove, too. Don’t leave the kitchen. If you have something cooking in the kitchen, stay in the room. If you absolutely have to step out of the kitchen while you’re cooking, take the pots and pans off the heat or turn off the boiler. Unattended pots and pans is the most common cause of kitchen fires. Know your smoke points. Become familiar with the smoking points of the fats and oils you use for cooking. Oils with low smoke points brought to high temperatures can catch fire. Dispose of grease responsibly. That means not throwing hot grease in the garbage can—it can cause something in the trash can to ignite. Wait until the grease cools and then dispose of it. Clean grease spills. If you spill grease during cooking and it falls into the drip pan under your stove’s cooking element, turn off the heat and wait for the burner to cool down; then, clean up the spill. Otherwise, the next time you go to cook something, you’ll probably forget about the grease being there and it could easily ignite. Use appropriate cooking utensils. If you’re cooking something in a deep layer of oil, be sure to use long-handled tongs to allow you to safely put food in and take food out without causing grease to splash out over the sides. In fact, deep fat cooking should only be done in a deep fryer. Watch for smoke. When your cooking oil starts smoking, that means it’s close to catching fire and you need to carefully remove the pan from the heat source. In case the worst case scenario happens, be sure to have a fire extinguisher in the kitchen where it’s in easy reach. Never, ever put water on a grease fire because it can make the fire spread. Even though we manufacture the world’s best residential range top fire protection equipment, we like to focus on all sorts of fire safety as well. Recently, a home in Wichita, Kansas was nearly burned to the ground after a fire broke out in the garage. The homeowner had attempted to use an outdoor BBQ in his garage to cook, and though he only left the grill unattended for a brief few moments, the ultimate damages cost him about $75,000, though thankfully not his life. This man was incredibly fortunate since each year a dozen or more people are killed after attempting to use outdoor grills inside. 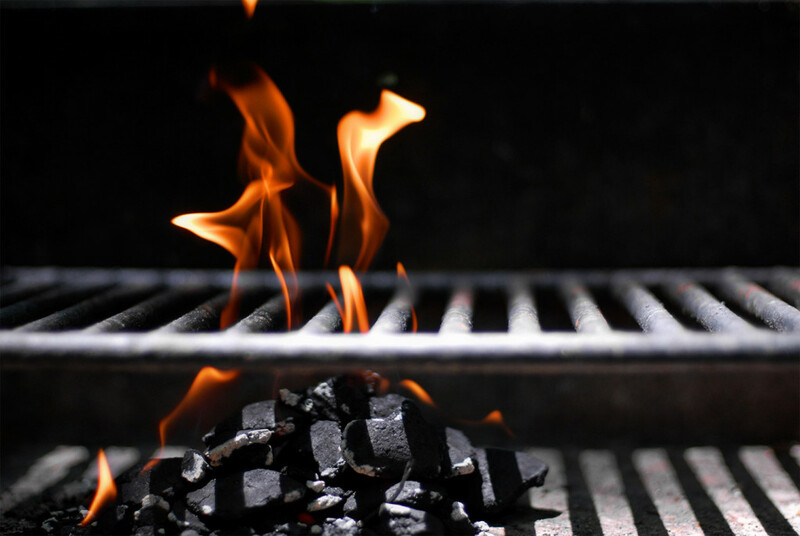 Propane, gas and charcoal grills produce large quantities of carbon monoxide, and even small amounts of this gas can lead to severe injuries and even death. In addition, we can’t see or smell carbon monoxide, so the buildup of the deadly gas in an unventilated area can easily be undetected until it’s too late! Even low levels of carbon monoxide exposure can cause symptoms similar to the flu, like dizziness, headache, and nausea. Unfortunately, people disregard these symptoms and do not realize that they are not getting enough fresh air to counteract the poisonous gas. It’s important to be sure your home and workplace are equipped with up to date CO detectors. • Never use outdoor propane, gas or charcoal grills indoors, or in any other unventilated area. • Keep charcoal and propane grills at least 10 feet away from awnings and buildings. Also keep them clear of any trees or bushes, and always on a flat surface. • Never store propane tanks near the grill itself. • Always turn gas off completely, and check tanks for any cracks before refilling. • Ignite propane with the lid off, since gas can accumulate under a closed lid and explode. • Never wear loose clothing when using a grill, be sure to use oven mitts and have a water source close by at all times. • When finished, dispose of charcoal ashes in a metal container, but only after they are completely cool. Practice safe grilling, and have a healthy, happy summertime!